One of our bloggers wrote to Bishop John Keenan (Paisley) to draw his attention to the public statements of Jim Murphy MP, affirming his support for abortion. 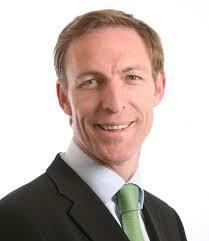 Jim Murphy is a Catholic of the Diocese of Paisley who is currently seeking to win the Labour leadership in Scotland. Click here to read more. Under Church law, manifest public sinners – and that includes those who support abortion – cannot receive Holy Communion. This is not a matter left to the discretion of any priest or bishop – Canon # 915 prohibits Communion to public sinners and it is a grave sin for any priest or bishop to flout this law. We’ve had this discussion more than once – click here to reach one of our previous conversations on the topic. 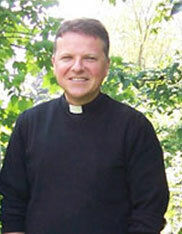 Yet, Bishop Keenan declined to reply to our blogger, electing instead to delegate the matter to his Vicar General. Now, Paisley is not New York. You can go for a walk round Paisley and meet yourself on the way back. So, one might fairly expect the Bishop to answer his own mail, especially correspondence on a matter as serious as that under discussion here. The upshot of the responses from the Vicar General is that the Bishop takes pro-life issues seriously and is dealing with the matter of the “pro-choice” [i.e. pro-murder] MP privately and anyway “neither you nor I are entitled to know what transpires between a bishop and another’s soul.” What the heck does that mean? Nobody is asking what is going on in Jim Murphy’s soul but we have every right to know whether or not the Bishop is doing his duty to protect the MP himself from continuing on his – literally – damnable route by receiving Holy Communion in a manifestly unworthy state, and also whether he is doing his duty to protect the rest of the faithful from being scandalised. If Jim Murphy had publicly admitted to (let’s use a euphemism) “harming” children, the Bishop would have been in front of the TV cameras in jig time to express his shock horror and to discourage Catholics from voting for him. Surely unborn children deserve similarly robust protection from Catholic priests and prelates? The upshot of our blogger’s response to the Vicar General’s correspondence is that for the bishop to deal with this matter “privately” is not good enough since the scandal is very public and requires the enforcement of Canon 915.